During the 1990s, many businesses found that they could use the Internet to connect with their customers. As technology improved, they could even sell products and services directly to clients over the Internet. Many experts thought that this would have a negative effect on local businesses. More recent trends, however, have focused on the advantages of using online group buying sites to take advantage of deals offered by local businesses. As it turns out, location continues to have a significant effect on search results and buying habits. Online search engine companies such as Google and Bing have recognized the importance of localized search results. When Internet users search for keywords, they often want to know information that relates specifically to them. Someone in Kansas City searching for “pizza” doesn’t want to know about restaurants in San Francisco. That person wants information about local pizzeria. Search engines, therefore, often give local results the highest rankings. Users don’t even need to tell the search engine where they are located. The search engine can simply read the user’s IP address and offer results for that area. Group buying sites thrive on local buying. The most successful group buying sites focus on deals in a variety of cities. By offering local deals, the group buying sites meet the needs of consumers better while simultaneously expanding their own client base. A group buying site that makes arrangements with local businesses in many cities could generate substantial higher profits than one that only focuses on national chains. When consumers use these sites, they get daily updates about deals that they can take advantage of in their cities. 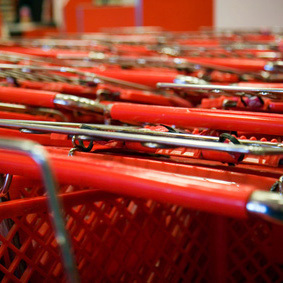 Technology also has an influence over the stores that consumers choose to use in their areas. Many smart phone apps make it easy for consumers to compare the prices of an item at several stores. Instead of driving from place to place, they can simply search for the item and choose the cheapest option. That means some consumers choose to drive a little out of their way to get the best deals. If the closest store can’t compete, then consumers will drive across town to get a better price. That improves competition at a local level. Location has always had an affect on buying habits. How have recent technological advances changed the way that you search for and buy products? I have also experienced the benefits of localized search engines. And as an owner of a local small business, local search engines help me to know my competitions better and without that much efforts. Yes. I agree with you. It’s a very nice article here.